Search ALL Vancouver Homes for sale. Get Neighborhood, school info and just plain interesting information about homes for sale in Vancouver WA and Clark County Real Estate. Listings are updated daily, about 30% more listings than you will find on the national Real Estate sites. Search the RMLS listings just like Realtors do with my Vancouver Home Search. Roianne Cox and Joe Agosta are Realtors with Coldwell Banker Seal in Vancouver WA. Our Number One Priority is Customer Service! Search the RMLS listings just like Realtors do with my Vancouver Home Search. Sign up to get daily updates with the newest Vancouver WA Real Estate listings. Don't forget to check out my shopping recommendations and Restaurant Reviews on my Best of Vancouver Links page. The School Ratings page is a valuable tool for researching schools in Vancouver. Roianne and Joe are Realtors with Coldwell Banker Bain in Vancouver WA and Clark County Washington. We specialize in Clark County WA homes located in Downtown Vancouver, Camas, Washougal, Ridgefield, Battle Ground, Hockinson, Brush Prairie, La Center and Woodland as well as neighborhoods such as Salmon Creek, Lincoln, Fisher's Landing and Cascade Park. Planning on Relocating to the area? We specialize in helping you discover the Vancouver and Clark county area. Search for the perfect Vancouver WA homes for sale here www.clarkcounty4sale.net. Too busy to spend your time searching everyday? Sign up for my Free Automated Home Search and have the latest Vancouver Washington Real Estate listings in the Vancouver Washington MLS emailed to you as soon as they hit the market. Just fill in the criteria for the home you want and I will do the rest! Thinking of Moving to Vancouver WA? Here you can research neighborhoods, schools and don't forget to check out my shopping recommendations and Restaurant Reviews on my Best of Vancouver Links page. Here you can research Vancouver WA homes for sale by neighborhoods and lifestyle. Search homes by neighborhood, address, price range, and number of bedrooms and my most popular search, Master on the Main. Each property listing has all the details available from property descriptions. Search for the perfect Vancouver WA homes for sale here on www.clarkcounty4sale.net. Vancouver is located in Southwest Washington, just across the Columbia River from Portland Oregon in Clark county Washington. 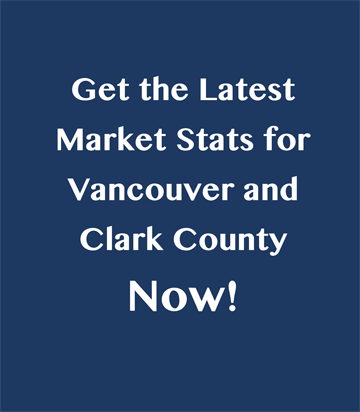 You will find great facts and figures about Clark County WA and Realty for sale, local School information and links to specific school districts, employment, recreation and community activites, Clark College, Washington State University Vancouver campus as well as dining and shopping recommendations. Get ready and have your Ducks in a Row before you start looking for a home.